The U.S. Food and Drug Administration (FDA) launched a new app Wednesday to gather data for clinical trials and other research directly from patients. 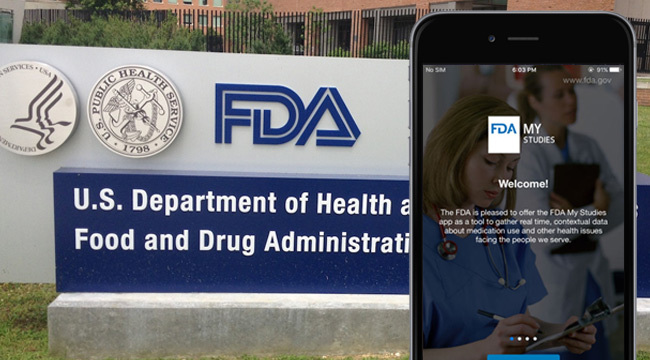 The FDA released the MyStudies app source code to the public, allowing developers and researchers to tailor the app to suit their research needs. The agency designed the app to facilitate the use of real-world data in research. Patients can submit real-world data to the app via their mobile devices. Researchers can then link those data to other electronic health information. The goal is to improve drug development. Researchers ran a pilot study of the app at Kaiser Permanente Washington Health Research Network. They used the app to study medication use and outcomes among pregnant women. They concluded that MyStudies has the technical, scientific and governance procedures necessary for broader use in clinical research. Open source code of My studies App is being released for two versions of the app. One is built on Apple’s ResearchKit (iOS) framework, and the other is built on the open source ResearchStack framework, which runs on Google’s Android.